"We are delighted with the strengths that Zanon brings to our management team. The leadership skills he developed while serving as a Marine transfer directly into our company’s culture, said CEO Nathan Conway. 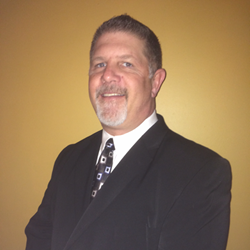 A Denver native, Chris Zanon comes to Fortis with over 20 years of sales experience in the Oil and Gas business. Chris Zanon holds a Bachelor’s of Science from Colorado State University andmost recently launched Deep Casing Tools’ southern Rocky Mountain Region. Zanon has also represented Weatherford International in the past. Zanon will be leading the sales team in the Rocky Mountain Region, with a focus on growing Fortis’ business throughout the Williston, DJ, and Niobrara basins. Zanon lives in Arvada, Colorado. During his military career he achieved the rank of Sergeant (E5) with the US Marine Corps & US Marine Corps Reserve, receiving many accommodations and awards.